This statistic shows college majors with the highest unemployment rates in the United States between 2009 and 2012. 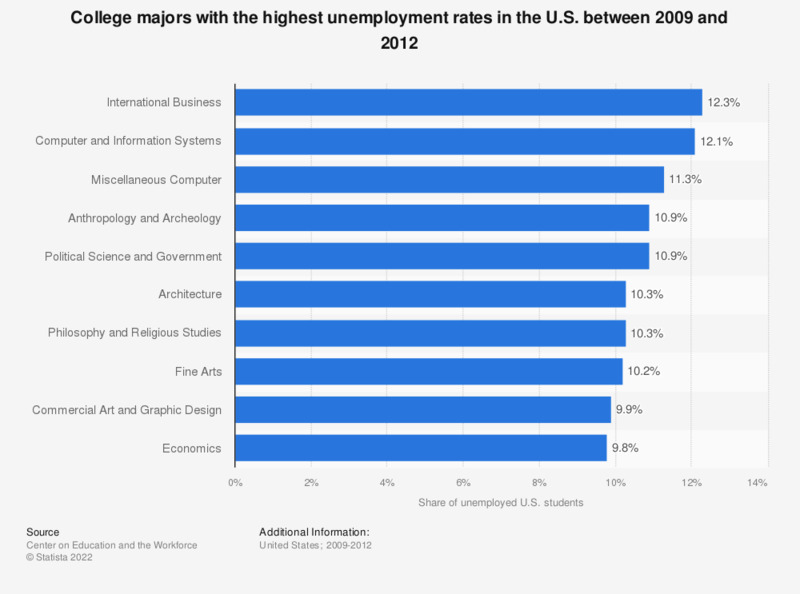 The rate of unemployment for students with an international business major stood at 12.3 percent in 2012. Not all college majors were taken into account in this statistic. There are a number of college majors absent for which the source didn't present any data because of small sample sizes.